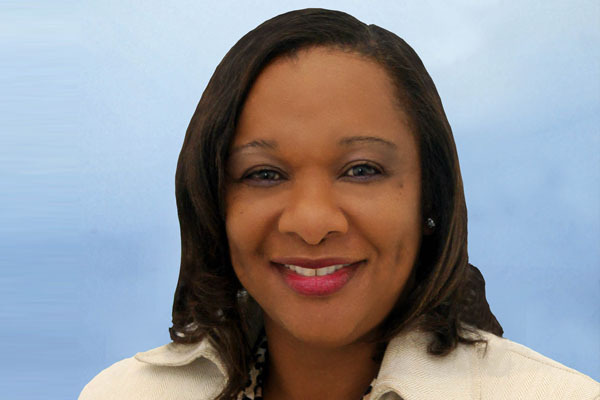 PROVIDENCIALES, Turks and Caicos Islands — On Wednesday, at the conclusion of a speech that laid out the reasons the current and proposed tax regime of the Turks and Caicos Islands (TCI) government was sure to cause the people to become poorer, opposition leader Sharlene Cartwright-Robinson called on Premier Rufus Ewing to resign or call early elections. The leader of the opposition Peoples Democratic Movement (PDM) said that part supporters will immediately be on the streets with a petition drive to force the government to conduct a referendum on the latest new tax – a “payroll tax” – which has been proposed by Washington Misick, the minister of finance. Over and over Cartwright-Robinson repeated Misick’s public pronouncement that he will impose the new tax “come hell or high water”. “This has caused the people who have spoken out against the tax to realize their views are not being considered,” she said. The PDM leader did not hold back in explaining that the government is ignoring the calls of the people and their plight. “The health care plan for 30 little hospital rooms is costing us $61 million a year and they refuse to solve this problem which could eliminate the need for taxes,” Cartwright-Robinson said, adding that people are now having to choose between buying food or their medications. She went on to explain that the role of the opposition is oversight but the government is not giving the PDM the tools to perform its function. “I have written to the speaker of the House who has that responsibility and he has not responded. I will now approach the director of Overseas Territories and the secretary of state if necessary,” she said. Before tackling the economy and the taxation issues, the PDM leader also called for the resignation of Police Commissioner Colin Farquhar for his failure to solve crimes and reorganize the police force. Last year, after Farquhar’s two years on the job, the TCI experienced a 24% increase in crime, with 3,337 officially reported crimes, of which only 22% were solved. Cartwright-Robinson also insisted that the United Kingdom must be required to act to improve the crime picture but must also pick up the bill for the handling and repatriation of illegal Haitian Immigrants. “We need a ‘sting’ operation to apprehend the agents that are creating this flow of illegals,” she suggested. She also pointed to the $1.1 million cost of processing and repatriating the illegal migrants, as well as the $5 million being paid by the government to defend the former ministers who enriched themselves via corruption. “There are $25 million in overdue taxes out there the government is not bothering to collect,” she added. Recent changes in the way import duties are to be collected was another issue addressed by Cartwright-Robinson. “By switching to a CIF basis we will now be paying duty and surcharges on freight, insurance, handling and taxes already paid on the land based items purchased in the USA. This will result in a rise in the prices of all these items,” she said.